To see and experience the numerous facets of Ecuador at your own pace can be a true gift! A journey through Ecuador with a rental car allows you to stop in the small villages, at stunning waterfalls and great view points along your path. The journey leads you through the Andes, past vast landscapes, historical ruins, hot springs and the Amazon with stays in old towns, which are protected by UNESCO. Explore the diversity of Ecuador comfortably in a rental car! Welcome to Ecuador! You are going to get picked up at the airport and taken to the hotel, which is located in the middle of Quito’s Old Town, declared a UNESCO World Heritage Site since 1978. The hotel is near the presidential palace and the independence square (Plaza de la Independencia) and is surrounded by churches, museums and monuments. It is situated in a beautiful colonial building with a peaceful, roofed patio. The atmosphere is friendly and cozy. 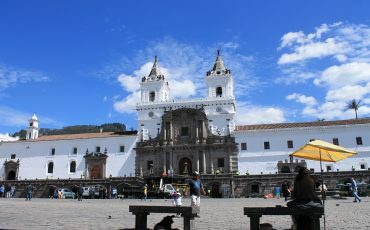 For a first overview of the history (the Inca time, the Spanish invasion, the Colonial time, and the Independence) and the present situation of Ecuador and Quito, your guide will take you on a half-day city tour through Quito´s old town. We also recommend visiting the hill “Panecillo” (the bread bun) with the monument “La Vigen de Legarda”, which is located between the northern and the southern parts of the city. The afternoon you have at leisure and you can stroll through the historic center with its winding cobblestone streets and whitewashed colonial houses, for example. It is the best-preserved capital in Latin America. Whole blocks of the Old Town are substantially as they were in the 18th century, when the city was a hotbed of revolutionary ferment. Alternatively, ride the Teleférico, the aerial tramway, from the city center up to Pichincha Volcano. You can enjoy spectacular views from the top, where you will also find restaurants, cafes and a few stores. In the morning, a English-speaking representative picks you up and helps you to pick your rental car. The first drive is towards Mindo, which is located in the cloud forest. 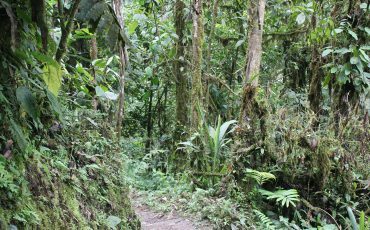 The cloud forest is a special type of rain forest at an altitude of 900 to 2.500 meters with an enormously diverse flora and fauna. Observe many birds and plants on your walk through the forest, visit waterfalls and get enchanted by the variety of hummingbirds you can find there. On the way to Mindo you have the possibility to visit the middle of the world. You find the equator monument, different exhibitions and documentary centers at “Mitad del Mundo” (middle of the world). In the museum “Inti Ñan” you can learn about the effects of the equator first-hand with the help of scientific experiments. Today, head to the beautiful Cuicocha Lagoon (Guinea pig lagoon). Laguna de Cuicocha is a 3 km (2 mile) wide crater lake that sits at the foot of the Cotocachi Volcano. Some 3,100 years ago, the volcano erupted and formed the enormous caldera. Today, the highest point of the caldera climbs up to 3,246 meters (10,650 ft). Down the sides are native plants, and in the caldera’s basin, you’ll find a highly alkaline lake with two uninhabited islands breaking the surface. It is possible to take a hike along the crater lake. The trail is a 4-5 hour loop around the entire rim of the lagoon. Afterwards drive to the little town Cotacachi, which is really nice as well and famous for its leather products. It is also the town with the first indigenous mayor in Ecuador. The accommodation for the night is in Otavalo. The best day for this famous market is on Saturday, but there is also a small market on the Plaza de Ponchos on other days where you can find a big range of colorful souvenirs. 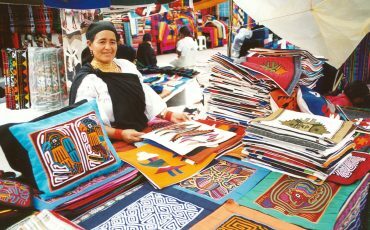 The hand-crafted products, such as textiles, jewelry and leather products, are made locally, most often by the indigenous people of Otavalo. In the afternoon, drive to the small Anden village of Papallacta, famous for its healing hot springs, near the natural reserve Cayambe-Coca. Within this well-situated place of the Ecuadorian paramo, you can enjoy a refreshing bath in a harmonious and peaceful surrounding. The thermal water comes from volcanic origin and has a temperature of between 36°C and 40°C. 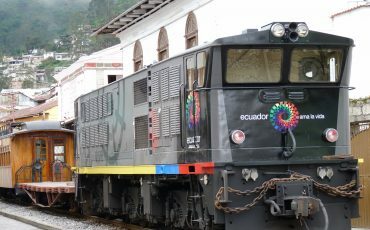 Its curative character is certificated by the Ecuadorian medical association. Besides the hot springs, Papallacta offers a lot of other options to enjoy the beautiful landscape. Take a hike in this beautiful surrounding. Within 1 hour you see the primary forest, different orchids, waterfalls and birds of the high paramos such as masked mountain tanagers, carunculated caracaras, peregrines, hummingbirds and sometimes even the majestic Andean condor. After breakfast, you head down a curvy road to the Amazon Rainforest, stop at “Guacamayos Lookout” (Spanish for macaws), located in between the Sumaco and Antizana National Reserves (low-elevation Cloud Forest) to observe the magic blanket of clouds that covers the Amazon Rainforest, before finally descending into the steamy Amazon basin passing through Kichwa villages and tropical rain forest. Your lodge is next to the Pusuno Bajo River, 10 minutes away from the parking area. You begin your adventure with a Welcome Lunch and a short briefing with general information about your stay at the lodge. Treking through primary and secondary forest trails, you observe distinct species of birds and insects as well as a great variety of trees and medicinal plants. The guides explain how such plants are used not only in medicine, but also in construction and other local activities. The welcome dinner will be served by that time. Enjoy while the waiter is serving you the meal! At the bar you find snacks, tea, good coffee and cocktails or feel free to relax in hammocks listening to the chatter of the birds and monkeys next to the swimming pool. After another fantastic breakfast, you dive into the world of chocolate – from its origin and history, participating in all the production process, from the harvesting of the fruit, drying and grinding of the seed, also the developing of the traditional drink of our ancestors, and of course enjoying a high quality organic chocolate. Next, it is time to pack and to check out. Then you will head from the rainforest to Baños. On the way you can stop multiple times to take photos. 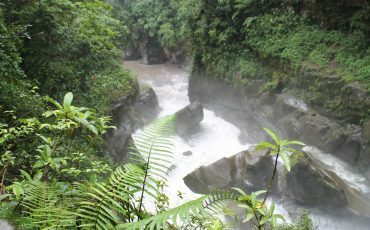 Since you drive through the Pastaza canyon, you come along the biggest waterfall on this road, the “Pailón del Diablo”. It can get adventurous if you decide to take the cable car to cross the canyon. Baños is a small and beautiful town, which is famous for its hot springs and its special sweet (melcocha), which is a kind of sugar mixture that is formed with theatrical gestures and thrown over a hook on the door repeatedly. The atmosphere is calm, the climate’s ideal and the tropical rainforest in the east of Ecuador is only a couple of hours away! It is the perfect starting point for hikes and also to see the active volcano Tungurahua. 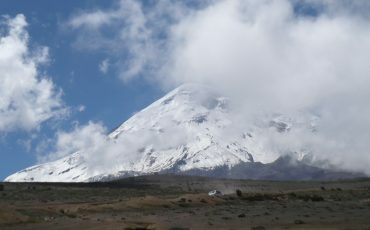 The Chimborazo Wildlife Reserve, located on the slopes of the highest mountain in Ecuador, with an altitude of 6.310 m, is today’s main attraction. Because the earth bulges at the Equator, measurements taken from the center of the earth rather than from sea level prove that the Chimborazo Volcano is the point on Earth closest to the sun. A team of French and Ecuadorian scientists confirmed this measurement in 2016. The drive from the reserve entrance to the Carrel Refuge is part of the adventure. 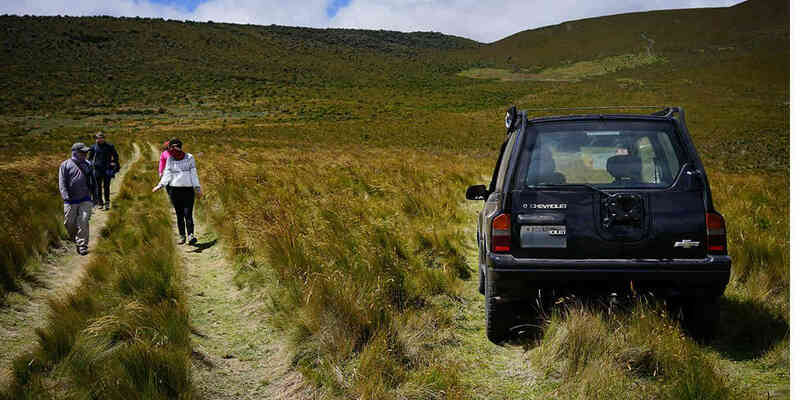 The road traverses high paramo, gaining altitude with every turn – views of the surrounding countryside are stunning on a clear day. Although the trail from the Carrel Refuge to the Edward Whymper Refuge is only a few hundred feet in distance and rises only 60 meters (200 feet) in altitude, it is a difficult trek, even for those in good shape. On the main highway going to Riobamba is a sign directing travelers to the Polylepis Forest. The dirt road is in fair condition and takes you across the desert-like terrain where herds of wild vicuña (a relative of the llama) often graze on the low ground cover. The hiking trail climbs slightly in altitude, but is well-graded and in good condition, while the views of the surrounding countryside are spectacular, even on cloudy days. The Last Iceman of Chimborazo, Baltazar Ushca Tenesaca, is the last person to harvest ice from the Chimborazo glacier. His weekly route is now a hiking trail that can be accessed from Cuatro Esquinas vía E-35 going into Riobamba. The trail is approximately 10 km (6 miles) long with an elevation gain of almost 1,525 meters (5,000 feet). In the late afternoon you go on through the town of Riobamba before you reach Alausi, where you spend the night. In the morning, walk to the train station for the famous train ride down the Devil’s nose. The impressive zigzags carved out of the almost perpendicular cliffs of La Nariz del Diablo (The Devil’s Nose) form part of a one hour hair-raising ascent. From Alausi you travel further south to the significant Inca ruins of Ingapirca with the sun temple as its most important building. Archaeologists couldn’t find out the exact purpose of this site yet. It is only known that there has been a similar complex of the indigenous Cañaris at the same position in the pre-Inca times. Your journey leads from the pre-Hispanic ruins to Cuenca, where colonial architecture, culture and art meet. With all it has to offer, it’s no surprise that UNESCO declared Cuenca a World Heritage Site in 1999. 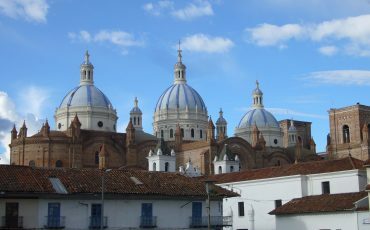 Today, you have plenty of time to explore Cuenca: Head out into this stunning colonial city and visit the Iglesia del Sagrario, known as the “Old Cathedral”, built in 1557, and the Cathedral of the Immaculate Conception, the “New Cathedral”, which embodies the grandeur of Cuenca. Stroll through the flower market with all types of roses, orchids and many other specimens, the lively artisan market at Plaza San Francisco, where stallholders sell the wide, multi-hued and heavily embroidered skirts typically worn by Cuenca’s ‘cholas’ (indigenous women from Ecuador’s Azuay Province, of which Cuenca is the capital) and finish your day with a visit to one of the Panama hat factories or workshops. 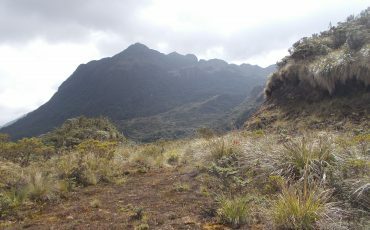 On your last drive from Cuenca down to the Pacific coast to Guayaquil, you can stop at the Cajas National Park on your way. Less than an hour from the city, the park offers a beautiful encounter with nature. The terrain is quite stark, mostly above 4,000m (13,120 ft) in the páramo (grassy highlands), with many clear lakes. The park’s residents include Andean gulls, black frogs and wild llamas. Afterwards, you travel further to Guayaquil, where you spend the night. 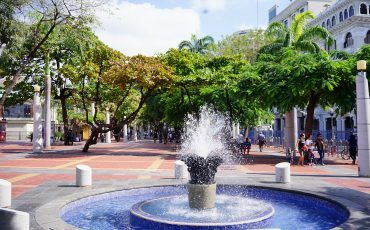 The Malecon 2000 in Guayaquil is a spacious promenade with monuments, museums, gardens, fountains, shopping malls, restaurants, bars and viewpoints. An outstandingly beautiful part of Guayaquil is “Las Peñas” – the first residential neighborhood of the old town, which is situated romantically at the “Cerro Santa Ana”, a small hill covered in rainbow-colored homes. The climb to the top with the lighthouse called El Faro, provides excellent views of the Malecón 2000, the center of Guayaquil, and the neighborhood of Las Peñas. Depending on your flight time, drive to the airport and hand off the rental car. This is where your tour ends. 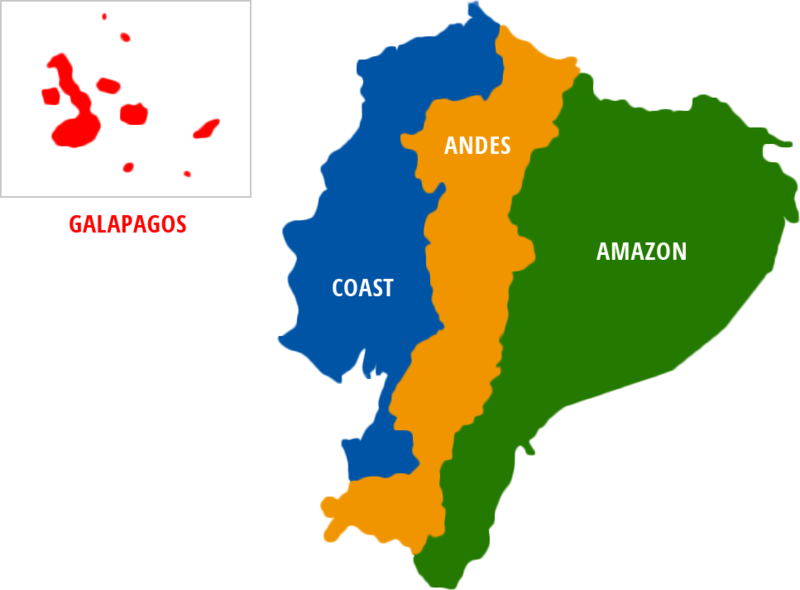 You also have the opportunity to extent the journey to the Galapagos Islands or our neighbor country Peru. Train ticket for "Devil's Nose"